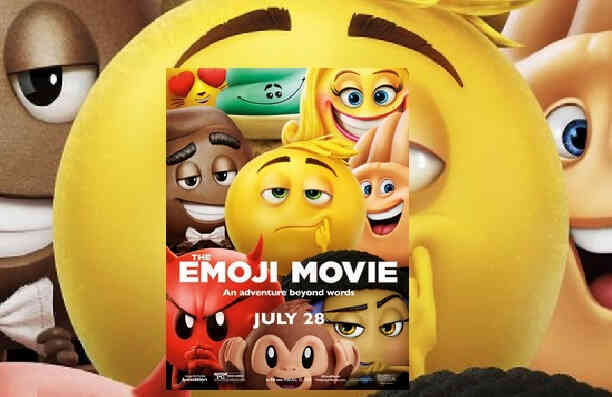 The Emoji Movie is an American 3D computer-animated comedy film based on the emoji symbols. The film is directed by Tony Leondis, produced by Sony Pictures Animation and distributed by Columbia Pictures. The story introduces Gene, a 'meh' emoji that lives in a world of emojis inside a texting app on a teenager's smartphone. In the world of emojis, each emoji has only one expression but something is different with Gene. Gene cannot be 'meh' all the time and has the special ability to express different emotions and feelings. Gene becomes worried when his strange expressive personality comes in the way of his job to work as 'meh' in an app. Gene takes the help of his friends Hi-5 (hand emoji) and Jailbreak (codebreaker emoji) to find the code he needs to become normal like other emojis. Gene's search takes the audience through the different apps like gaming app, music streaming app, photo-sharing app, video streaming app, dance app and file-sharing app, which is indeed a visual treat. The movie ends with Gene realising that he need not change himself to fit in as he is already special in his own way. The Emoji Movie is a good one-time watch film, especially for kids and creative adults.